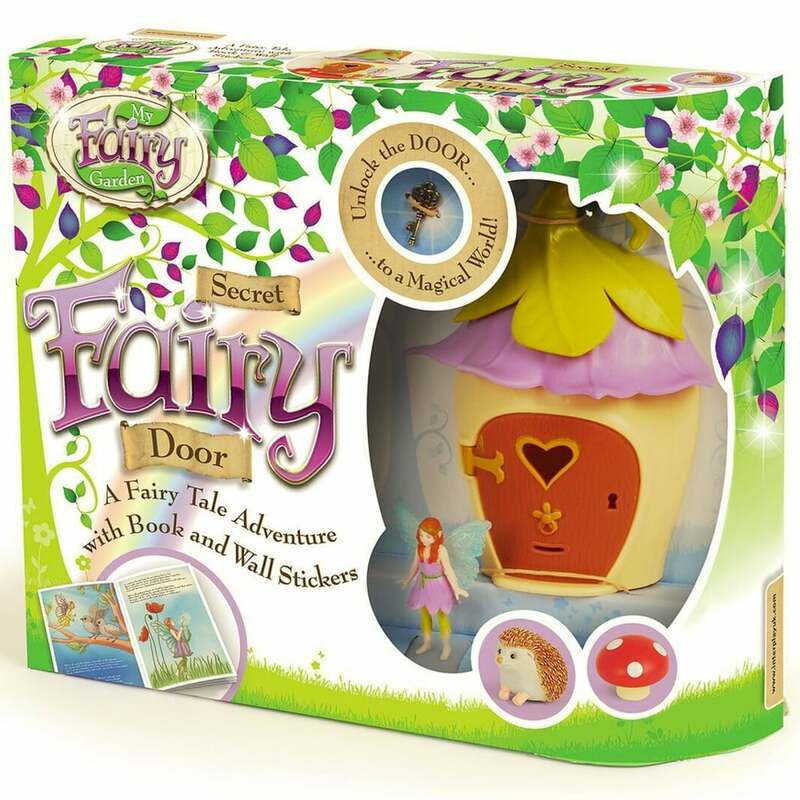 Discover the magical world of fairies with My Fairy Garden - The Secret Fairy Door! There’s an adventure behind this door, Using the key bracelet, unlock the secrets of nature and begin a fun and fascinating journey, where you can uncover the life of a tree and its life throughout the changing seasons. Contents: fairy door, fairy figurine, door key with ribbon bracelet, hedgehog figurine, fairy mushroom, fairy tree wall sticker set of prepositional wall stickers, image of fairy house interior, fixing tabs & sticky fixers, 12 page colour illustrated rhyming storybook.